As we straighten our lines, let us also straighten our lives. A image that speaks a thousand words. As we focus in prayer, let us not become heedless outside of it. As we organize ourselves in the mosque, let us be organized in our communities. 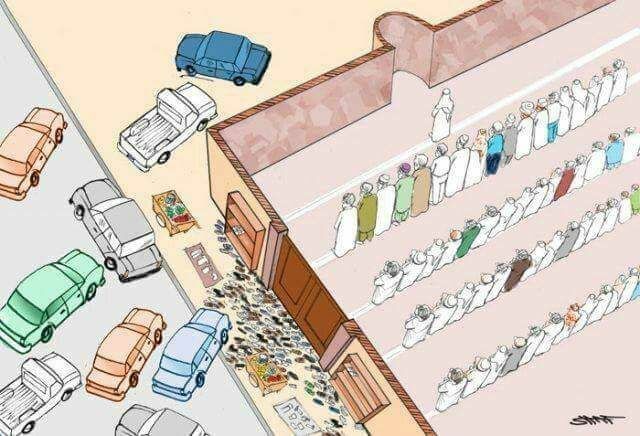 As we attain peace in prayer in the masjid, let us spread it through our encounters outside of the masjid. http://hmjamaat.com/wp-content/uploads/2017/11/835d31b0-c8c9-46db-9463-3d11aa170bdd.jpg 436 640 admin http://hmjamaat.com/wp-content/uploads/2016/02/HoughtonMasjid-300x300.png admin2017-11-07 17:40:292017-11-07 17:40:42As we straighten our lines, let us also straighten our lives.